The Town of Brewster is the first community in Massachusetts to be designated a HeartSafe Community. TheMassachusetts Department of Public Health and the American Heart Association have kicked off the HeartSafe Communities program to help cities and towns improve their survival rate for sudden cardiac arrest. 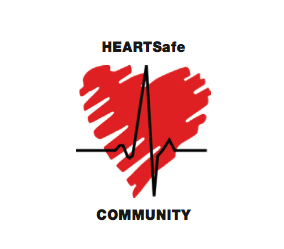 Towns are awarded points, called heartbeats, that determine if they qualify as a HeartSafe Community. The number of heartbeats necessary for designation depends on the community’s population. Heartbeats are awarded for the number of citizens in the town that have received C.P.R. training, and the number of first responder vehicles that are equipped with AED’s. Brewster will receive two HeartSafe Community road signs that denote the towns status.